A unique gift idea! This kids' reflective kit teaches you to draw and makes it easy to copy any picture. 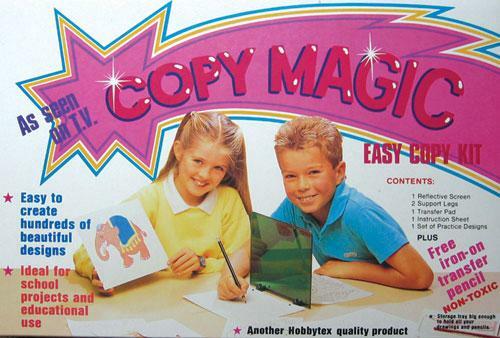 Copy Magic is simple to use and fun for all ages. Includes reflective screen, 25 sheet drawing pad and 15 fun novelty designs. PLUS a great transfer pencil for you to iron your design onto a t-shirt or any other fabric. Such a cool idea and then you can even paint your t-shirt afterwards!